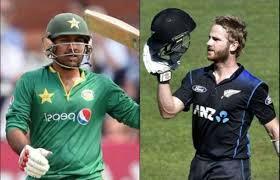 Pakistan v New Zealand will play the first One day International match on 07 November 2018. Both the teams are in good form and they will play their aggressive game and try to win this match. The first ODI match between New Zealand v Pakistan will be played at Sheikh Zayed Stadium, Abu Dhabi. The ODI match between Pakistan vs New Zealand will be played at 04:00 pm PKT, 11:00 am GMT time and 03:00 pm PKT. The viewers will get the latest updates, live score card and live streaming of the 1st ODI match on their tv sets. When the match between New Zealand vs Pakistan will be finished, they will get video highlights of the first one day international match. The viewers can also get the schedule of the match, team squads and other information about Pak v NZ ODI match of this current series.